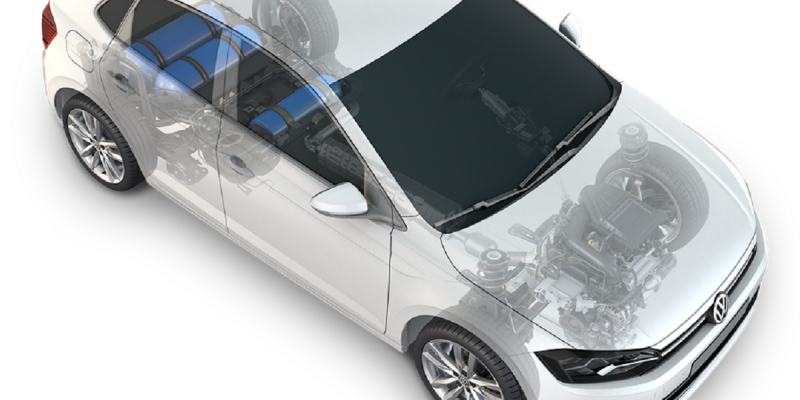 Volkswagen is equipping its Polo TGI and Golf TGI models with a third natural gas tank as it looks to hedge its short-term bets on as many alternative fuel options as possible. This means the Polo TGI will be able to travel up to 37 miles more on compressed natural gas (CNG) mode, while the Golf TGI can go for 50 miles more than its predecessor. The Golf also has a new four-cylinder 1.5-liter engine, which “ensures that none of the driving pleasure is lost” according to VW. Powering a vehicle with CNG is more environmentally friendly than with gasoline or even, diesel – an important asset for post-Dieselgate VW. However, while cleaner than some other combustion fuels, CNG is not as energy dense and so it requires more space for storage than conventional fuels, hence the addition of a third tank in the TGI models. For consumers, this means the range benefits and fuel economy of a diesel-powered car are nearly matched but without the carbon particulate emissions that are drawing so much criticism from clean-air activists. While sales of battery electric vehicles (BEVs) are on the rise range is still an issue in all but the larger premium vehicles and here CNG could make inroads. The new Golf and Polo TGI models can go for about 190 miles in natural gas mode while a Tesla Model 3 in standard specification will do almost the same but at double the price. The Nissan Leaf, meanwhile can only do 110 miles and yet can cost around $13,000 more. Volkswagen sold just 40,000 BEVs in 2018, across the 12 brands it owns, but plans to be selling upwards of 3M by 2025.